Superb specimen with such wide white edges to the leaves it will undoubtedly be noticed from a great distance. The shoots emerge violet and are an impressive sight in themselves, but you have to be rather closer to notice them! 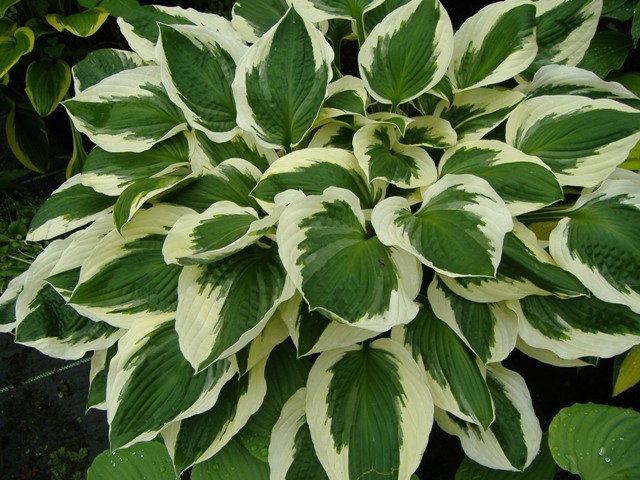 A tetraploid sport of well-loved Hosta 'Francee', with four instead of two sets of chromosomes. My favourite hosta in early spring with amazing fat purple spikes breaking through the compost. And as a bonus it's not too attractive to slugs, faring better than most in my organic garden.